Versatile Box Combinations: Seed up to three different seeds at the same time (main seedbox, Native Grass, Small Seeds). Ground Drive: Eight- position positive ground drive also works as the front depth gauging wheel. 3-Point Mounted: Category II 3-point mounting setup. T-Handle Opener Depth Adjustment: Provides 18 different positions for accurate depth control. Large Box Capacity: With a 2 bu./ft. 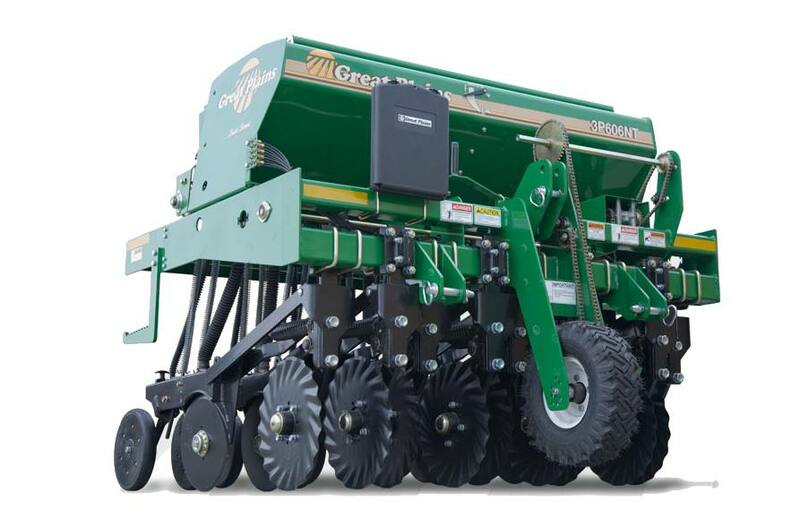 capacity, a larger seed box reduces downtime and covers more acres per fill. Fluted Seed Cups: With powdered metal flutes, these 1¾" seed cups deliver outstanding accuracy. 4-Speed Gearbox: Changing seed rates is quick and effortless with these permanently lubricated, sealed gearboxes. Main Box Capacity: 12 bu. Small Seed Box: 1.44 bu. Native Grass Box: 6 bu. Main Box Capacity: 12 bu. ; Small Seed Box: 1.44 bu. ; Native Grass Box: 6 bu.